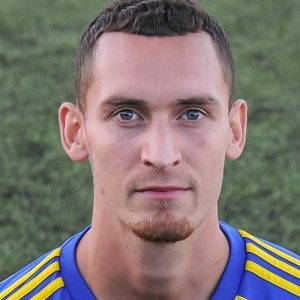 A late Dan Westwood goal – his 20th of the season – earned Khalsa a point in a closely contested clash which was high on intensity but low on real quality. A first half battered by torrential downpours was particularly bereft of incident, aside from Dave Meese opening the scoring on 17 minutes. Lee Chilton‘s rampaging drive down the right flank saw him drive a cross into the corridor of uncertainty and Meese made no mistake when the ball landed at his feet. With conditions stifling any creativity – aside from a tame Jordan Harrison effort for the visitors after 32 minutes and a Tes Robinson effort five minutes later at the other end – Khalsa managed to hold the advantage going into the break. The game burst into something approaching life on 55 minutes when Liam Armstrong fired a stinger from range which Worcester keeper Sam Gilder could only parry, the ball ended up the other end at the feet of Jamal Lawrence who danced his way through the Khalsa defence and slotted past Dale Reaney for the equaliser. Things soon settled back to huffing and puffing with too many balls being given away and passing far too casual by both sides for the liking of the respective managers. A Chilton corner on 72 minutes flashed across the goalmouth and just missed the head of Leon Miles before, just seconds later at the other end, Worcester took the lead, substitute James Baldwin capitalising on some sloppy defending by Khalsa to nudge the ball past the onrushing Reaney and roll the ball into the empty net. With three minutes left on the clock, Westwood latched onto a long pass while holding off Worcester captain George Forsyth and slotted home for what was, on balance, a just equaliser. Sporting Khalsa: Dale Reaney, Carlo Franco, Shawn Boothe, Leon Miles, Tes Robinson (captain), Alex Woodhouse, Mensah Kinch (Garfield Robinson), Liam Armstrong, Jay Holdcroft (Dan Westwood), Dave Meese, Lee Chilton. Subs not used: Adam Osbourne, Mykel Beckley, Sam Arnold.